Brilliance.com Review | Do they provide quality diamonds? 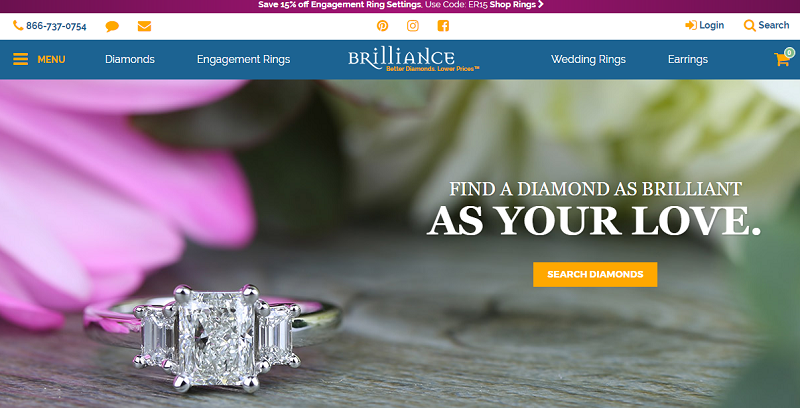 Founded over 25 years ago, Brilliance.com is one of the largest online engagement ring retailers and a leading retailer of diamonds, engagement rings, and fine jewelry. Brilliance.com offers a great user experience, with a straight forward, easy to navigate landing page. The website allows customers to explore the brand’s collection by the type of jewelry they want to buy, the style or stone of the jewelry, or by using educational guides to direct them towards the right ring or diamond. 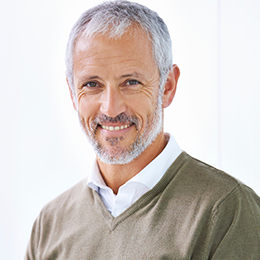 The site also features a comprehensive Education facility, which offers users a wide range of easy-to-digest information covering topics such as Diamond Shape, Cut, Color, Clarity, and Carat, as well as a guide to Setting Types and a Metal Education Guide. When it comes to the loose diamonds on the site, although each one comes with a GIA certificate, they do not include images. There’s also no light reflector images (ASET/ideal-scope) to show how the stone reflects the light from within its facets. This is a crucial point because buying a diamond with nothing more than a GIA report is almost like buying blind. I highlight the importance of diamond imaging in more detail in this article. The site offers a wide range of designs, including Solitaire rings, Side Stone rings, Halo rings, Three stone rings, Antique rings, and Gemstone rings. There’s also a collection of Pre-set and Moissanite engagement rings. Whether you’re looking for a simple, understated ring to a magnificent, glistening piece, Brilliance.com offers a whole host of beautifully crafted designs. The website also allows customers to create their own Custom Engagement Ring. Simply submit drawings or pictures of what you’re looking for, provide information in terms of your preferred metal, center stone shape, and preferred price range, as well as any additional notes about the design or the ring. Some of the diamonds feature stock images and sample diamond videos – again this has no reflection on the quality of the actual diamond you are buying. One of the brand’s representatives will then contact you to narrow down the design options, before sending you an image of what the ring will look like. (You will need to pay a deposit before they send you the renderings). According to the site, this custom ring service will allow you to create your own version of designer rings at a fraction of the price. Brilliance.com prides itself on ensuring that every diamond they set and every ring they cast is crafted using the highest quality standards by their expert team of expert gemologists, design specialists, and jewelry artisans. In line with their claim that their jewelry is designed to last a lifetime, Brilliance.com offers a lifetime warranty on all of its products. However, it should be noted that, if you explore reviews of the brand, they tend to be incredibly mixed, particularly when it comes to the quality of the products. If you’ve got the budget and are looking for the highest quality diamonds for your engagement ring, take a look at the Whiteflash A Cut Above diamonds. If price is your main priority and are willing to sacrifice on quality then take a look at Blue Nile who have a larger selection of diamonds. The site offers a 30-day refund policy as well as a trade in policy, reducing 15% of the original payment. Brilliance.com is an incredibly user-friendly site, with a decent variety of diamonds and engagement rings spanning all budgets. However, it has to be said that the brand falls down when it comes to quality, in comparison to other jewelers.